Cathedral Commons is now open! 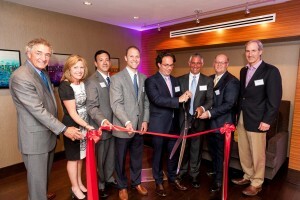 We hope everyone had a blast at our grand opening this past Wednesday on May 27, 2015. We sure did! 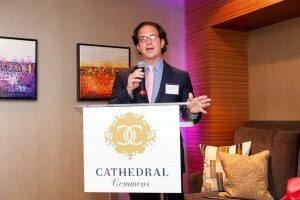 The evening began with our VIP portion from 5:30 to 6:30 p.m. Father and son CEO and Chairman Tom Bozzuto and President Toby Bozzuto excitedly opened Cathedral Commons for business. Toby cut the ceremonial red ribbon, initiating Cathedral Commons into the Cathedral Heights neighborhood. Guests were served hors d’oeuvres, wraps, croissants, and fine-crafted drinks. 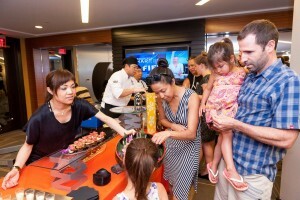 The main event was open to the public from 6:30 to 8:30 p.m. Guests were able to take part in oyster tasting, indulge in Raku Sushi, enjoy the DJ’s music, and take tours of Cathedral’s beautiful living spaces. 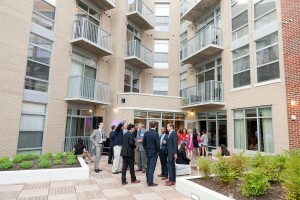 Guests toured the three types of dwellings that Cathedral offers: townhomes, lofts, and flats. In the townhomes, guests were presented with tasty desserts as they viewed the spacious interiors that include marble and caesarstone gas fireplaces, caesarstone quartz countertops and kitchen islands, and private two-car garages. 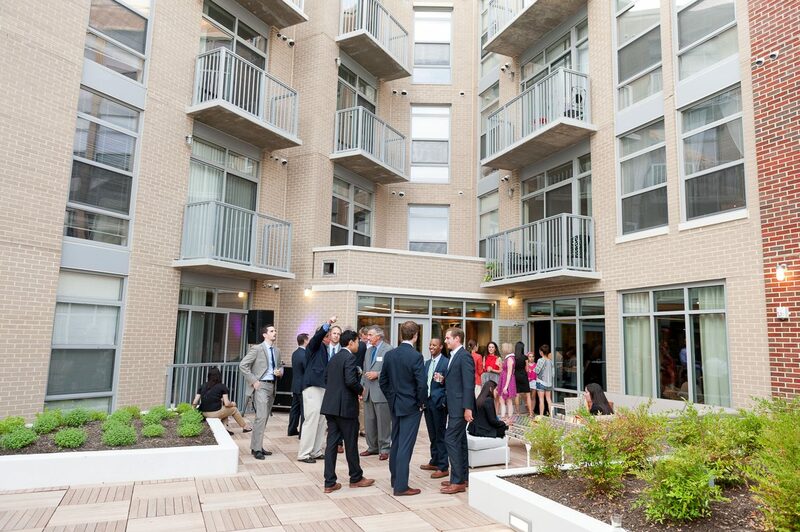 Our loft style apartments were a hit as guests experienced the thoughtfully-designed rooms with outdoor terraces, stainless steel appliances, and designer lighting. 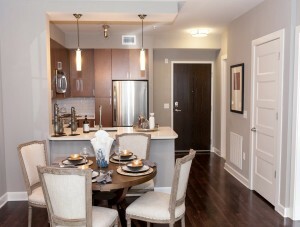 Many guests were also taken with the layouts of our flats that feature open concept floor plans. Flats also include slide-in ranges and bottom-mount refrigerators, as well as high efficiency washers and dries, and many more luxury features. We are sure that you will find a floor plan that is right for you. 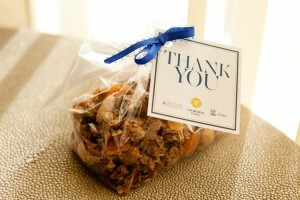 Valet parking was available for all guests, and every guest left with a custom granola package as a thank you gift from us. A big thank you to all who attended and participated in our grand opening. Cathedral Commons is located in the center of the historic Cathedral Heights neighborhood, a bustling community with lots to do. 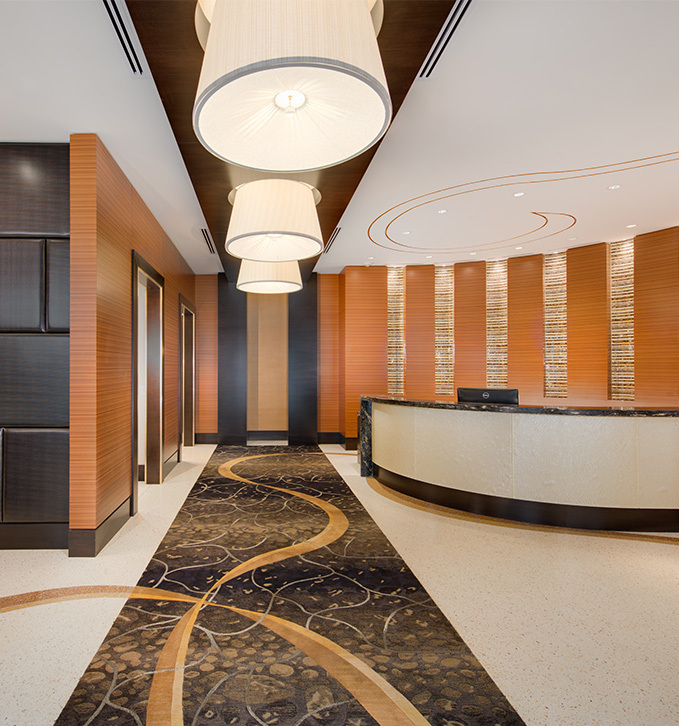 Learn more about our features and amenities, some of which include our 24/7 concierge service, resident lounge areas, and garage parking. Schedule a tour today to find the the right living space for you at Cathedral Commons.